Have you ever been through an unpleasant experience and then later found yourself playing the moment over and over again in your mind? Or how about thinking about something and then feeling as if it is right there making you shudder in fear or disgust? Be it phobias, fears or anxiety…these are unpleasant to have to deal with to say the least. But they are also great examples of how our mind works. Neuro linguistic programming or NLP is in many ways about understanding HOW our mind works. From how we process information, to how we store our memories and even how we communicate. NLP can help us understand how we take in our world around us in order to help us to create the life we want. Neuro-Linguistic Programming is a method of influencing brain behaviour (the "neuro" part of the phrase) through the use of language (the "linguistic" part) and other types of communication to enable a person to "recode" the way the brain responds to stimuli (that's the "programming") and manifest new and better behaviours. Neuro-Linguistic Programming often incorporates hypnosis and self-hypnosis to help achieve the change (or "programming") that is wanted. Our mind is amazing and what’s more is it learns very quickly. Just as quickly as we can learn to be afraid of something after one experience our mind can just as quickly un-learn or actually learn a new reaction. 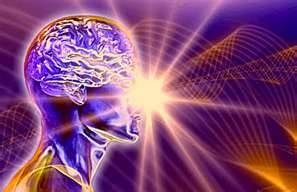 NLP allows us to work directly with the beliefs and programs that are running in the subconscious mind. By first becoming aware of them and then learning how to shift them with powerful tools to create the outcomes we do want in our mind. NLP is a way of understanding how our mind processes information and hypnosis is a very efficient way to reach a relaxed state of being in which the conscious mind is softened and access to the subconscious and super-conscious can occur. Through combining hypnosis and nlp, it becomes easy to work directly with our subconscious mind in a way that the mind relates. NLP is one of the many modalities that can be utilized within hypnosis in order to help one achieve their goals quickly and easily. NLP can also easily be used as a technique all on its own to address specific issues such as phobias and beliefs. Each session is focused on what the desired goal is of the client. As a result, hypnosis, nlp, regression, parts therapy and more are all tools that can be used as needed in what works best for obtaining the desired results. EFT (Emotional Freedom Technique) or Faster EFT (,Emotionally Focused Transformations), also known as tapping, is a technique where we tap different meridian points on our body while focusing on the feeling of what is bothering us. By becoming aware of our stresses and emotions we can then begin to tap on the different meridian points of our body in order to release it from our body and our life. Tapping is a technique that if you didn't know anything about it, you could possibly think the person showing it to you was in fact trying to play a prank on you! As "silly" as it may seem at first, this is a very viable technique that creates immediate changes in our life that we can notice right away even after only a few rounds of tapping. Our subconscious mind seems to be at the root of everything! From our good habits, to our not so great habits. It helps us to keep track of everything we experience and is even in charge of most of the things our body does. It even regulates the things that we don't think about like our heart beat, our breathing and our nervous system. Tapping is pretty amazing in that it works in a few different ways. Not only does it promote relaxation of our nervous system, it also works in a similar way like hypnosis by taking us into our subconscious mind while shifting our beliefs. Trauma and emotional experiences can get trapped in our body through our nervous system locking in pain as well as limiting beliefs. The reason that this happens is because when we experience trauma, our subconscious mind opens right up enabling what ever thoughts we have in that moment to get stuck in our body. Because our subconscious mind communicates with us through our nervous system, our organs and the sensation in our body, it is therapeutic to utilize our meridian points to release stresses and emotions on a physical level while clearing on a subconscious level. So how does tapping fit in with hypnosis? Tapping is something I incorporate into many hypnosis sessions. During a hypnosis session there can be times when heightened emotions come up creating a block in reaching information for healing and moving forward. Tapping is a useful tool in clearing the built up energy in order to create a clear window into the available information within the subconscious mind and into the healing process. Also many of my groups and workshops utilize Tapping as one of the tools for reaching personal goals. It is amazing how easy it can be to get in touch with the information in our subconscious mind through this technique. Not only because of the rhythm but the way that we follow our voice can also lead us right to the information we need to release the pain and discomfort.